Release price guide: The Cry Of Love on label Track with catalogue numnber 2408101, Great Brittain. Jimi Hendrix Record Value Release price guide: The Cry Of Love on label Track with catalogue numnber 2408101, Great Brittain. The Cry Of Love is the collectable edition of title The Cry Of Love recorded by Jimi Hendrix Experience. 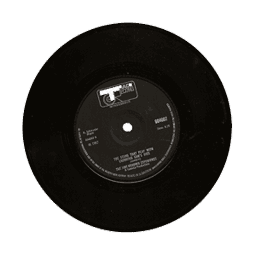 The record was published with catalogue number Track 2408101. This pressing was released in Great Brittain. This record was release on 1971. It was released as a LP (12") and appeared on the Track record label. Our auction results for 2408101 were last updated on 2019-04-13. Out of 63 auctions 27 items were sold. The best auction result was $651.70 On average $52.93 was the price paid for this record. The first posthumous release of his last studio album as compiled by Eddie Kramer. It contains legenday songs such as "Angel", "In from the storm" and "Freedom". Many years later this was released as 'first rays of the new rising sun'. Jimi Hendrix THE CRY OF LOVE UK LP 1ST PRESS TRACK A1/B1 2-3 PLAYS MINT MINUS!!! JIMI HENDRIX Cry of Love RARER ORIG UK Track 71 EX+ EXAMPLE.